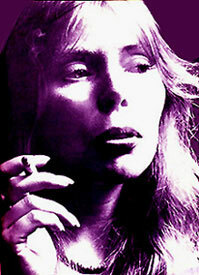 Throughout 1973, Joni searched for musicians who could play her "weird chords" and understand her distinctive rhythms. She had met multi-instrumentalist Tommy Scott in 1972 when she went to see him perform at the Baked Potato club. He played woodwinds on the For the Roses album, and later Joni hooked up with him and his band, The L.A.Express, for her summer recording sessions for what would become the album, Court and Spark. A single, "Raised On Robbery" was released right before Christmas 1973, and it both shocked and excited fans with it's radically different sound. In January 1974, the album, Court and Spark, was released and was immediately greeted with open arms by both the public and the critics. It seemed to her longtime fans that she had made an approach towards a more "pop" sound without compromising her artistic ideals. 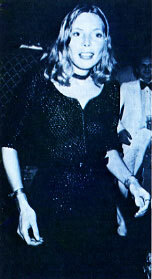 In March, the single "Help Me" was launched and became Joni's first and only Top 10 single. It peaked at #7 in the first week of June. The album went all the way to #2 on the Billboard album charts and stayed there for 4 weeks. In February 0f 74, her tour with the L.A.Express began, and they received rave notices as they traveled across the U.S. and Canada during the next 2 months, before flying to London in April for a BBC-TV filming of her concert at the New Victoria Theater. This tour was a huge undertaking with over 50 dates spread over a few months, and then a second part as the opener for C, S, N, & Y on their summer stadium tour. A series of shows at L.A.'s Universal Amphitheater from August 14-17 was recorded for a live album release. In November, that live album called MILES OF AISLES, a 2 record set with all but 2 songs coming from the L.A. concerts. A selection each from the Berkeley Community Center, on March 2nd, and the LA Music Center, on March 4th, were also included in the set. The album slowly moved up to #2, matching COURT AND SPARK's peak, but remained there for only 1 week. "Big Yellow Taxi", the live version, was released as a single and did reasonably well. It seemed like all was golden for Joni in 1974. Joni purchased a spanish style hacienda in the Bel Air section of L.A., and she and her boyfriend, John Guerin (drummer in The L.A. Express) moved in. In January of 1975, the Grammy nominations were announced and Mitchell received 4 nominations. The success of the album, the tour, and now the Grammy nominations with their added coup of being the only female in the Album of the Year contest, must have been very gratifying for Mitchell and her team. Oddsmakers were high on Joni winning the Best Pop Vocal, Female, but losing the other 2 major awards against strong competition. In early March, the awards ceremony was telecast live, and when Olivia Newton John was announced as the Pop Female winner for the treacly "I Honestly Love You", there were many audible gasps and a few boos from the audience. (The Grammys twenty years ago were even more likely than now to reward easy listening hits like "Honestly" than more adventurous work like COURT AND SPARK). Joni and Tom Scott's win for Best Arrangement Accompanying Vocals was read off a card with a bunch of other categories, and she lost Album of the Year to Stevie Wonder, and Record of the Year to "I Honestly Love You". 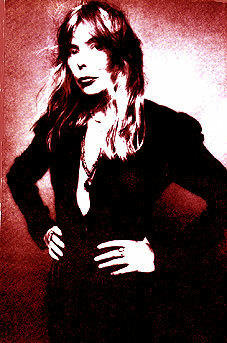 "Let these walls come tumbling down,"
In March, The L.A. Express released an album called TOM CAT which featured Joni's vocal on the cut, "Love Poem". 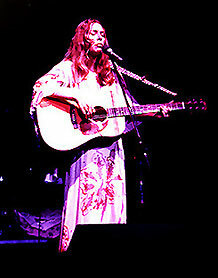 Joni went into the studio in the spring of 1975 to record acoustic demos of some songs she'd written since the tour ended. These tapes included an early version of "Dreamland," a song that 2 years later would appear on the album Don Juan's reckless Daughter. A few months later she recorded band versions of the tunes with most of the same musicians she employed on Court and Spark. This song cycle was released in November 1975 as the album The Hissing of Summer Lawns. The LP was a big seller and peaked at #4 on the Billboard album charts. Generally, the album was greeted less than enthusiastically. The fact that Joni had ceased being the confessional sin-eater, and had turned her razor sharp observations outwards to society, was not what fans and critics expected or wanted from her. This was probably the first time that an musical direction of Joni's had been questioned, and it really wounded her. She still talks today of the sting she felt at those bad reviews. But in reality there were also quite a few good notices for the album. 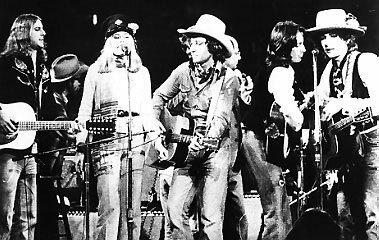 Joni joined up with Bob Dylan's Rolling Thunder Review as it traveled thru North America, and she performed at a few shows in late November and early December including stops in Boston and Toronto. Before Christmas 1975, plans began for a tour to promote THE HISSING OF SUMMER LAWNS, which was selling briskly. The L.A.Express were grabbed up and convinced to embark on a second tour with Mitchell to begin in January 1976. This article has been viewed 17,355 times since being added on March 28, 2009.